A little more than a year after starting my expedition into the world of Japanese animation, I have completed 55 entire series, and after one year of watching the wonderfully creative medium of anime, I consider myself an Otaku. Below are all of the different series that I have seen in the order that I completed them, and below that is the list in alphabetical order if you are trying to figure out which ones I have seen. 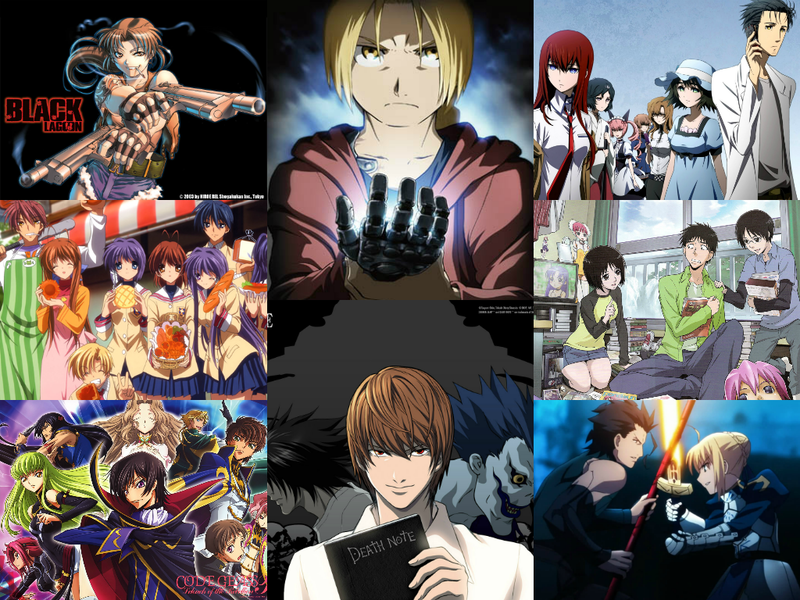 In addition to these series, I have seen just about as many anime films, although that is something for another post. Really, this post does not have much purpose other than listing the series that I have seen for the sake of it, but I wanted to it for fun. Also, a big thanks goes to anime/movie critics Chris Stuckmann, Tristan Gallant (aka GRArkada), the rest of the Podtaku gang, Garnt Maneetapho (aka Gigguk), Holden (aka HoldenReviews), and Jean P from Anime Appraisal for inspiring me to watch, review, and enjoy many anime series and films. I know that none of them will probably read this, but I am big fans of all of people listed here. A big thanks to fellow bloggers, Shena Tokala, Arvin Saints, and Stillwater, for directly recommending some of my favorite series. Also, thanks to everyone who has commented on my anime posts and reviews. They are some of my favorite posts to write and expect to see more in the future. Without further ado, here is the list.